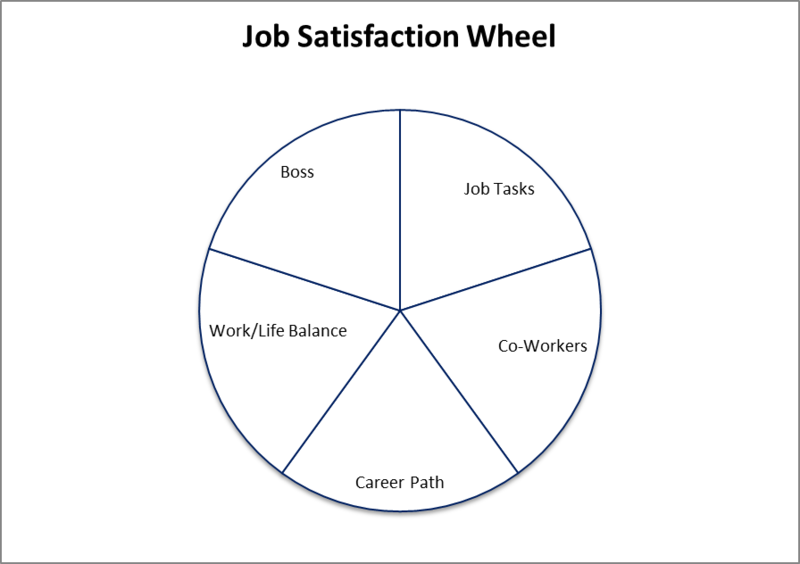 The 5 sections in this Job Satisfaction Wheel represent aspects of your job satisfaction. Consider the center of the wheel as 0 (lowest level) and the outer edge as 10 (highest level), rank your level of satisfaction with each area by drawing a straight or curved line to create a new outer edge. The new perimeter of the circle represents your job satisfaction. Is it a bumpy ride? What goal(s) would support you in expanding your career satisfaction?